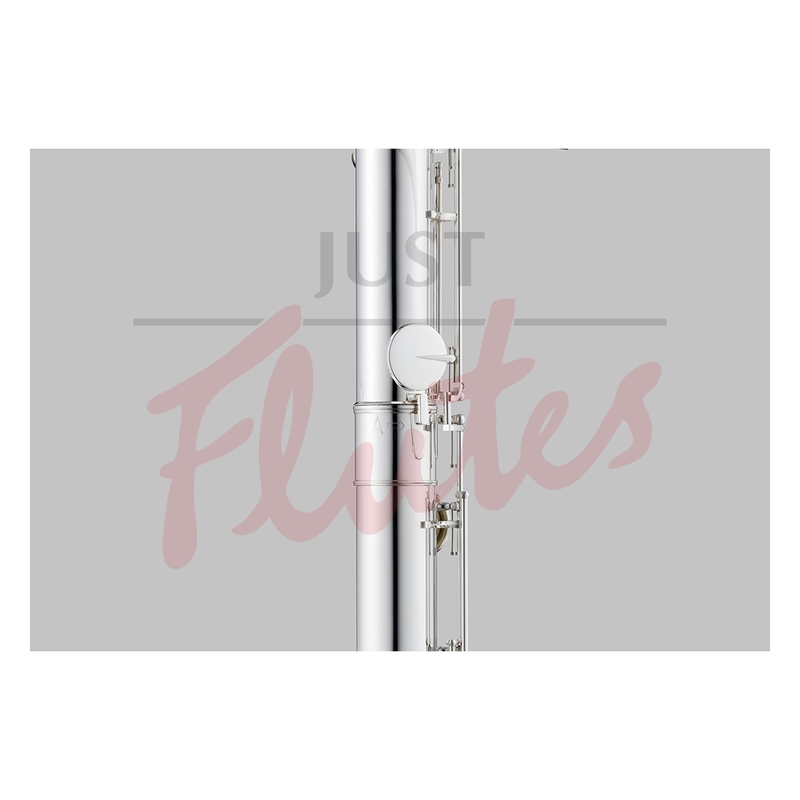 To complete our range of instruments, we have developed the Pearl Contrabass Flute. 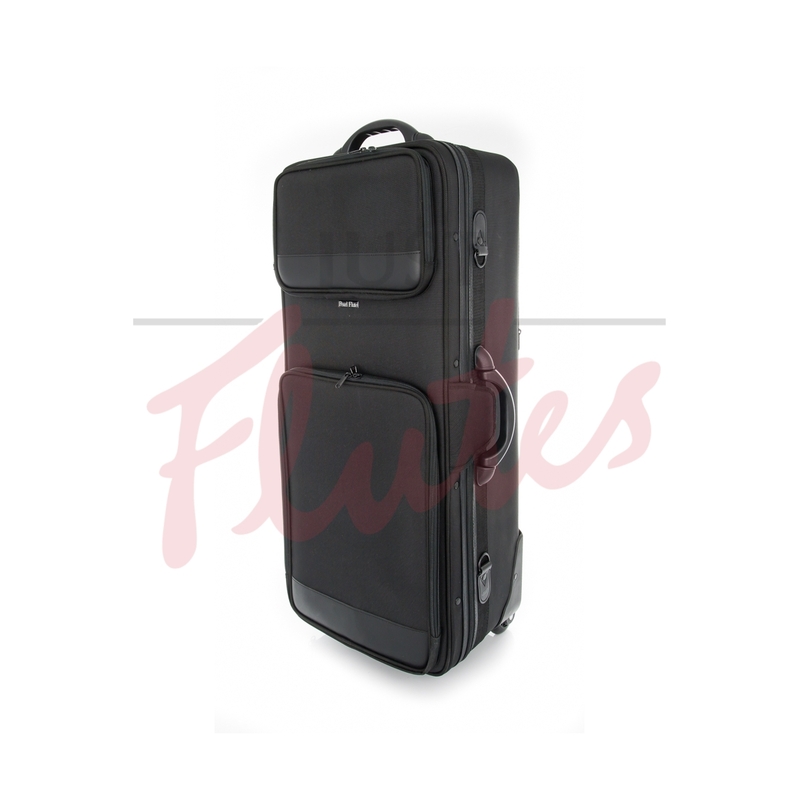 The contrabass flute is designed a full two octaves lower than a soprano C-flute, which has gentle and warm tone. Pearl’s contrabass flute has nice third octave and wide range which allows the pleasure playing in both solo and flute choir settings. 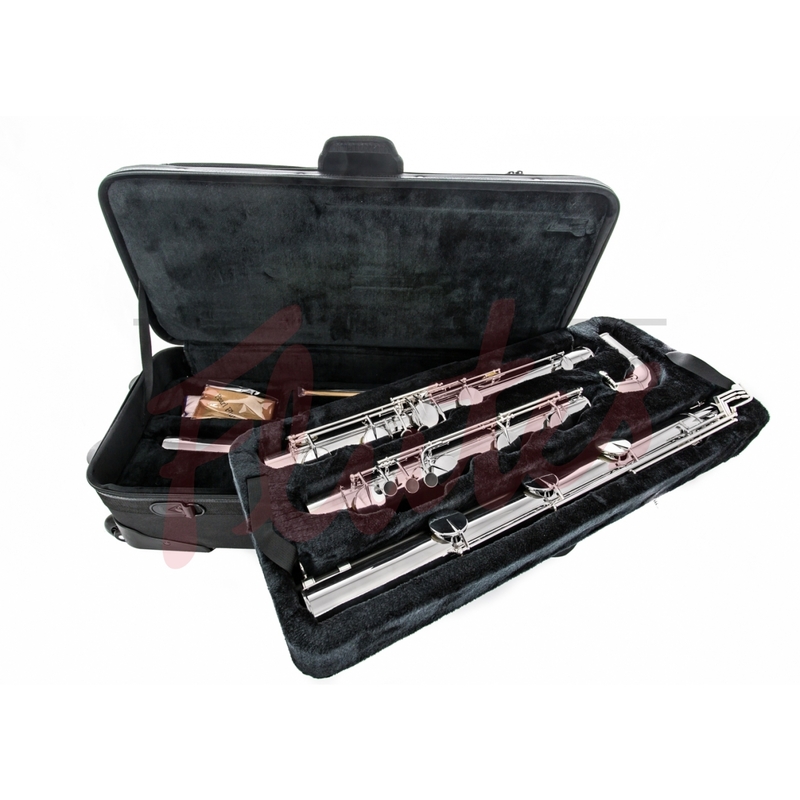 At last, a production model contrabass flute at an affordable price. 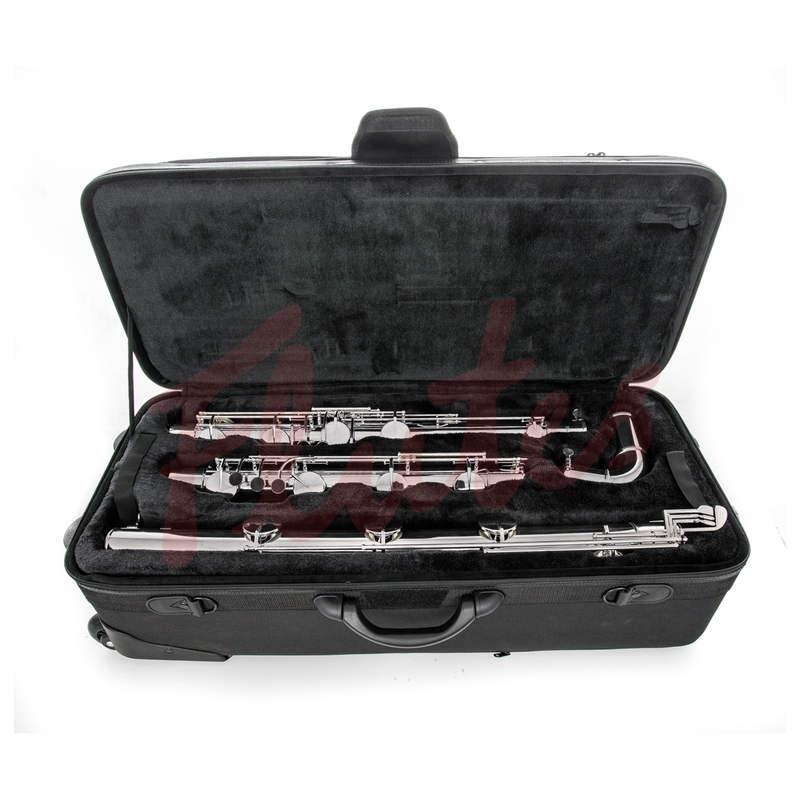 This flute, which features Pearl's trademark pinless mechanism and pointed key arms, has a low B, a well-designed embouchure for a big sound, and is supplied in a lightweight case which makes transporting this large instrument a breeze. Pearl's handmade craftsmanship has pioneered a tradition of flute making that is totally distinctive. Many flute makers claim to be innovators, but Pearl's track record can be proven. Most of the artisans have the distinction of building flutes for their entire career only at Pearl. The apprentice program has been employed for decades, which allows the talents of master builders to be passed on to future generations. 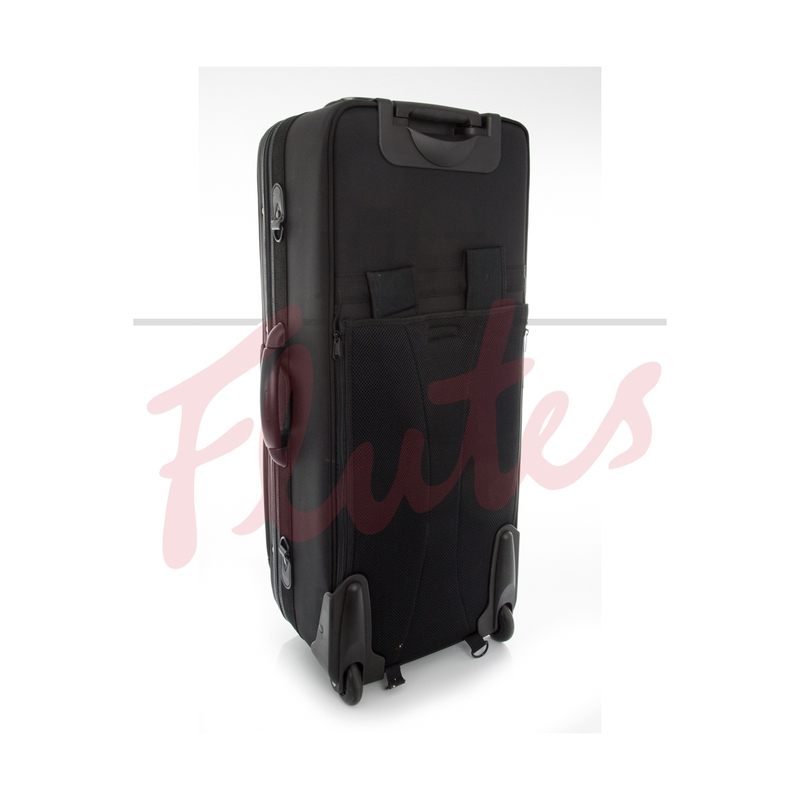 The foundation of every Pearl flute is a patented Pinless construction, which eliminates the problems of traditional flute construction - protruding needles that snag clothing and give easy entry to perspiration and body acids causing corrosion and binding keys. 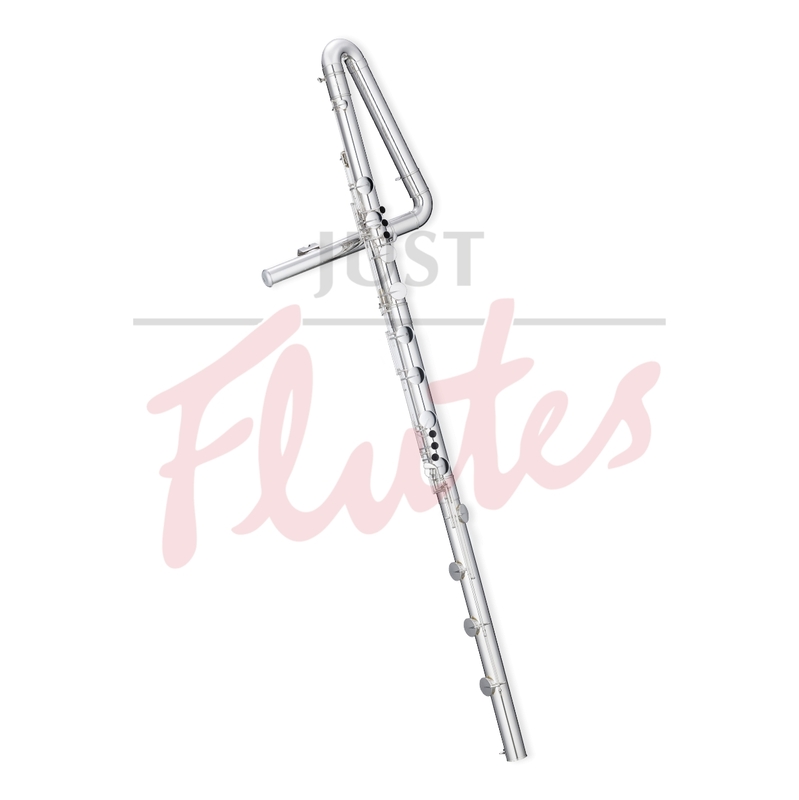 Besides this unique pinless construction, Pearl flutes have additional bridge mechanisms that add strength to the entire mechanism. The goal of handmade creativity united with meticulous assembly is consequently realised. Pearl has a revered commitment to accuracy of pitch, flexible articulation, and a beautiful and projecting sound.